Mumbai, TAITRA (Taiwan External Trade Development Council) launched its Taiwan Product Centre (TPC) in Mumbai, India. The product centre is an extension of the varied efforts that Taiwan is undertaking to increase its footprint in India. Inductor & Multilayer Chip - Chip Bead Inductor. 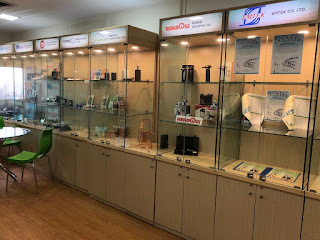 Hand Tools manufacturer Rekrow Industrial INC are showcasing portable hand tools like Micro Torch, Soldering Iron, Micro Burner, Lab Burner, Smart Stove etc which are a breakthrough in innovation. Automobile leaders YI GUAN PRECISION CO. LTD (CMB) are displaying Car A/C Compressors and parts for car A/C compressors. Automobile and Home Décor leaders Aromate have showcased Aroma diffuser, Reed diffuser, Naturals essential oils, Fragrance candles, Fragrance spray, Membrane Air Freshener, Auto Perfume, Scented Polymer, Scented Plush, Organic Scent Can etc. Home décor pioneers Homewood International Corp have displayed Bathroom set, Cannisters, Makeup box etc. 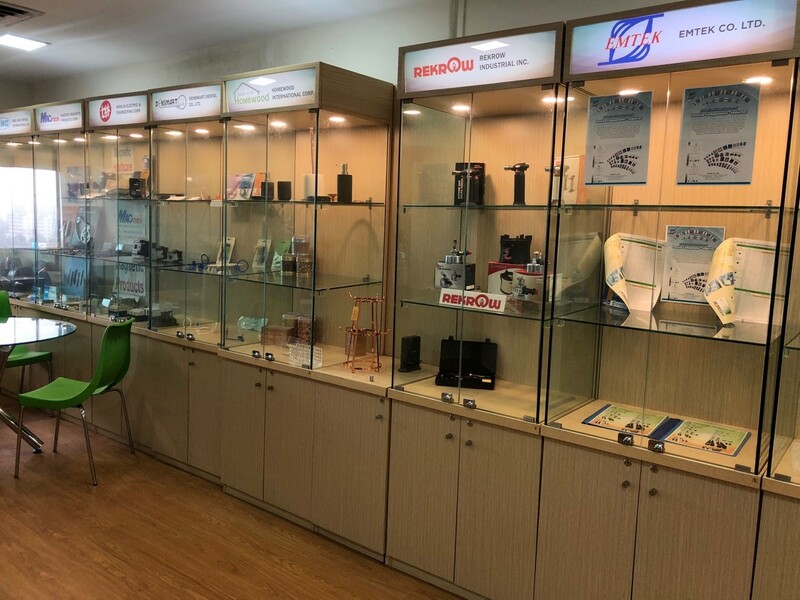 Dental convenience solution provider Densmart Dental Co Ltd have put up X-Ray Holder and RVG Sensor Holder while Glory Leepin Enterprises Co LTD, dental spare parts manufacturer have showcased Spare Parts for Dental Chair. Industrial & Engineering company Alpro-Metals have displayed Screws, Nuts, Bolts and Washers. Agricultural company An Jarl Enterprise Co; Ltd have showcased Rain Pipe, Mulching Paper, Sprinkler, Plastic Adjustable Impulse Sprinkler, Wings Rain Pipe, Drip Irrigation System, Array Net House, Seedling Tray, Greenhouse film, Fog Nozzle Base, Pipe Connect Spring, Pesticide sprayer gun, High Pressure Hose, Micro Jet. Smart Solution - Infrastructure Company Microprogram have displayed Parking Fee Payment System, Parking Information Service System, Desktop Reader, Bluetooth, T&A Series, Active RFID Solutions, Passive RFID Solutions, Secushare, MAILGATES mail protection system, MP-180L Network Access Control Terminal, NFC Reader etc. Health Care giants Saint Global are showcasing Sleeping Pad, Seat Cushions, Mini Heating Carpet, Far Infrared Spa Capsule, Pet Pad, Eye Mask, Neck Support, Waist Support, Heel Warmer, shoulder Warmer, Belly Warmer, Foot Warmer, Hand Warmer, Shoe Dryer etc. Founded in 1970 to help promote foreign trade, the Taiwan External Trade Development Council (TAITRA) is the foremost non-profit, semi-governmental trade promotion organization in Taiwan. Jointly sponsored by the government, industry associations, and several commercial organizations, TAITRA assists Taiwanese businesses and manufacturers to strengthen their international competitiveness and deal with the challenges they face in foreign markets. TAITRA boasts a well-coordinated trade promotion and information network of over 1,200 international marketing specialists stationed throughout its Taipei headquarters and 50 overseas offices worldwide. Together with its sister organizations, the Taiwan Trade Center (TTC) and the Taipei World Trade Center (TWTC), TAITRA has created a wealth of trade opportunities through effective promotion strategies.